What are the Relevant Statutory Provisions in Relation to Variation? Section 72 and 73 of the Women’s Charter deals with variation of maintenance orders that have been awarded during the marriage and Section 118 of the Women’s Charter addresses variation of maintenance that was awarded during divorce proceedings. Section 72(1) of the Women’s Charter gives the court power to vary or rescind maintenance orders as they deem fit. The application can be made by any party to the maintenance order. It stipulates that if there is a change of circumstances of the person receiving maintenance, or there are other good causes, the court may rescind or vary the current maintenance order. In the case of child maintenance, if parties have come to an agreement regarding child maintenance, the Courts retain a power under section 73 of the Women’s Charter, which states that the Court may vary terms of any agreement if it is satisfied that it is reasonable and for the welfare of the child. Where the maintenance orders arise from divorce proceedings, the relevant statutory provision to look towards is Section 118 of the Women’s Charter. Variation or rescission of any subsisting order of maintenance can be ordered where there has been a misrepresentation or mistake of fact, or a material change in the circumstances of any parties (i.e. party receiving the maintenance, or the party ordered to pay maintenance). This applies to both secured and unsecured maintenance. In the case of the former, the legal representatives of the person ordered to provide secured maintenance has the ability to make an application to vary the maintenance order. As divorce proceedings can take time to complete, the wife can be entitled to maintenance during the time it takes to finalise. This type of maintenance is informally called ‘interim maintenance’ and is provided for in section 113 (1)(a) of the Women’s Charter. This means that the wife will be awarded maintenance during even when the divorce is ongoing, and the maintenance can be backdated. When the ancillary matters have been decided, the court will make an order under section 113 (1)(b) of the Women’s Charter for a final maintenance order which may be of a different quantum from the interim judgment. In divorce proceedings, if the ex-wife has decided not to ask for maintenance from the ex-husband, an application for variation of the order cannot be made. The Court of Appeal has clarified that if the Court has made no order for maintenance during divorce proceedings, the ex-wife cannot later seek to vary this order as it is essentially a rejection of an application for maintenance. Therefore, an application to vary maintenance for an ex-wife can only be made if nominal maintenance has been awarded during divorce proceedings. If the ex-wife remarries, the maintenance order ceases. The general rule of thumb is that child maintenance ceases when a child attains the age of 21, as one above 21 years is no longer a child, as defined in the Women’s Charter. There are however, some exceptions to this such as physical disability, national service and education. Child maintenance can be awarded due to neglect or refusal to give support, as well as during divorce proceedings. In the case of the former, application for variation of Child maintenance orders will be made under Section 72 of the Women’s Charter while variation of child maintenance orders awarded from divorce proceedings will be made under Section 118 of the Women’s Charter. It has been noted that an application made under Section 72 of the Women’s Charter is less restrictive, compared to a variation under Section 118 of the Women’s Charter. This is because Section 118 includes options of misrepresentation of mistake or fact, which may be hard to prove. However, both sections also stipulate the condition of ‘material change’. Therefore, if it can be shown that there is a material change in circumstances after the order was awarded, the court may vary the order. Examples of such change can include change in the financial status of the parents, or change in health conditions. 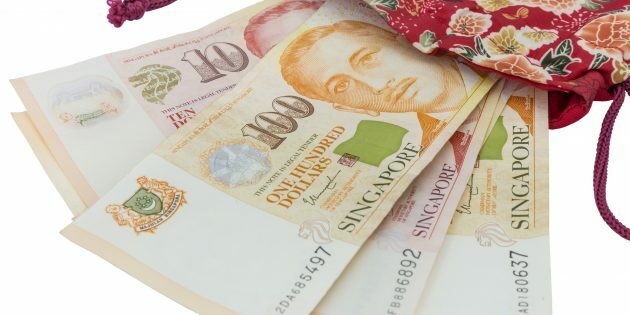 What are the Orders that can be Varied in Singapore? According to the wording of the Women’s Charter, only subsisting orders can be varied. This means the Court has to already have awarded a maintenance order for an order to be varied. In the case of divorce proceedings, an interim maintenance order that is awarded pursuant to Section 113 (a) of the Women’s Charter can be varied. An interim maintenance order can be varied under Section 118 of the Women’s Charter. However, the Court of Appeal in AXM v AXO  has ruled that once a final maintenance order has been issued, pursuant to Section 113 (b) of the Women’s Charter, the interim maintenance order can no longer be varied. 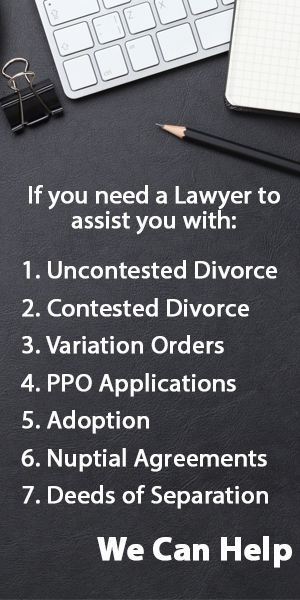 What are the Factors the Court will take into Consideration? To vary maintenance orders, a material change must be shown or there has to be a mistake or misrepresentation concerning a material fact. Any material change cannot be trivial, and the change cannot be self-inflicted. Self-infliction refers to situations where the party paying maintenance intentionally changes his or her circumstance so as to avoid paying maintenance. Change in financial circumstances of any party: this can include unemployment, or reemployment, or a change in salary, the receipt of inheritance and bankruptcy. Change in expenses: for example, if an expense is no longer necessary such as tuition, because a child is entering tertiary education, the maintenance can be varied to exclude the cost of tuition. On the other hand, if there are additional expenses that are necessary, the court may allow for an increase in quantum. The Court may also take into consideration any increase in cost of living in any application to vary maintenance. Generally, to determine the new quantum of maintenance, the factors the court will consider in an application for variation is the same as when considering the award of maintenance to be paid. These factors would include the earning capacity of the parties, whether the application is reasonable and the age of the children. The Court will also compare the standard of living enjoyed under the amount received from the old quantum of maintenance to the new proposed amount. To sum up, the Court has a wide discretion and will take into account the circumstances of the case. Do you require assistance in making an Application for Variation of Maintenance? Let us help.